The transition to parenthood can be challenging for many women and their personal experience of this transition has been shown to affect their well-being and the development of their child. A hypothetical model of the maternal sense of competence in raising a child was analyzed using structural equation modeling. In this model, the maternal sense of competence served as the mediator between, on the one hand, parental alliance, social support and child temperament (measured by mothers and fathers) and, on the other hand, mothers’ engagement in leisure activities with their child and their psychiatric symptoms at 6-months postpartum. Data were obtained from 176 first time mothers (20–40 years old) and their partners. Mothers’ sense of competence was measured with the Parenting Sense of Competence Scale. The model’s fit approached acceptability and all paths were significant. For an excellent fit of the model, an additional direct effect was added between social support and psychiatric symptoms. 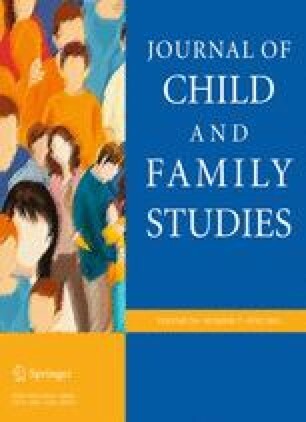 A replication model was tested in which child temperament was measured by fathers. Once again, all paths were significant and the fit approached acceptability. For an excellent fit, another direct effect was added between child temperament and mothers’ psychiatric symptoms. Given that mothers’ sense of competence in raising their first child is linked to their mental health and their interactions with the child, it could be beneficial for this maternal cognition to become a target when planning interventions. Health Agency of Canada. (2009). What mothers say: The Canadian maternity experiences survey. Retrieved from http://www.phac-aspc.gc.ca/rhs-ssg/pdf/survey-eng.pdf. Hooper, D., Coughlan, J., Mullen, M. R. (2008). Structural equation modelling: Guidelines for determining model fit. Electronic Journal of Business Research Methods, 6, 53–60. Retrieved from http://www.ejbrm.com.